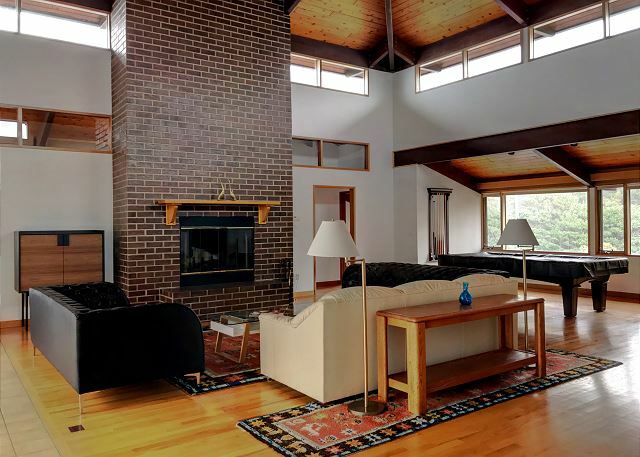 Large open windows light up the open living room. 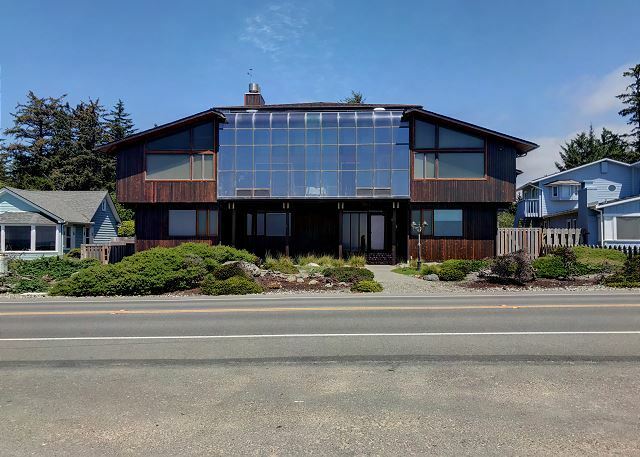 Large home with front facing windows. Views of the ocean right off the second story sun room. 2nd Floor Lounge Area. Well lit from open windows. 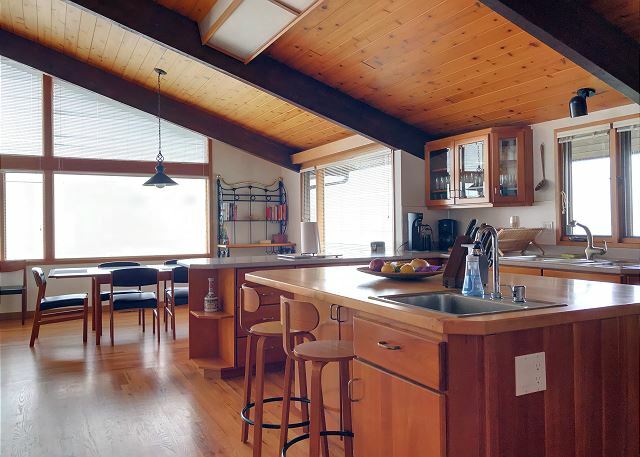 Spacious kitchen with large tea selection. 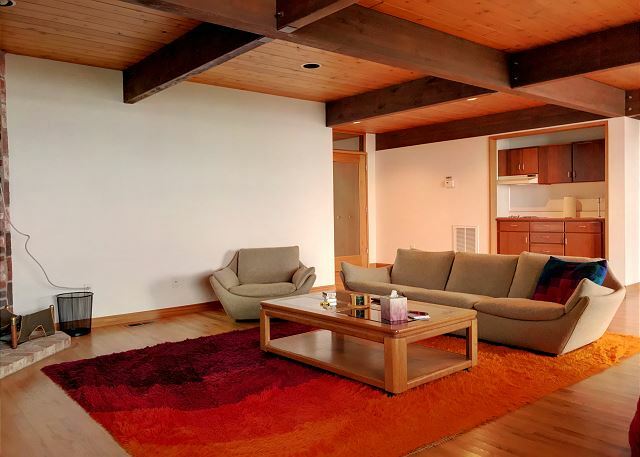 Lower level living room. 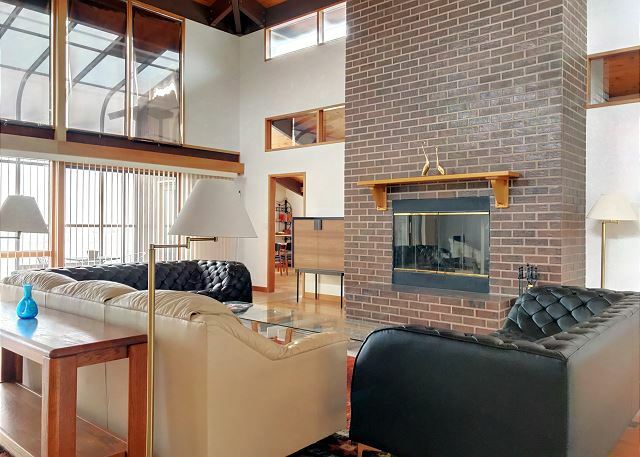 Enjoy sitting in front of the fireplace, plop down into an oversized beanbag, or relax in the massage chair to wind down the day. 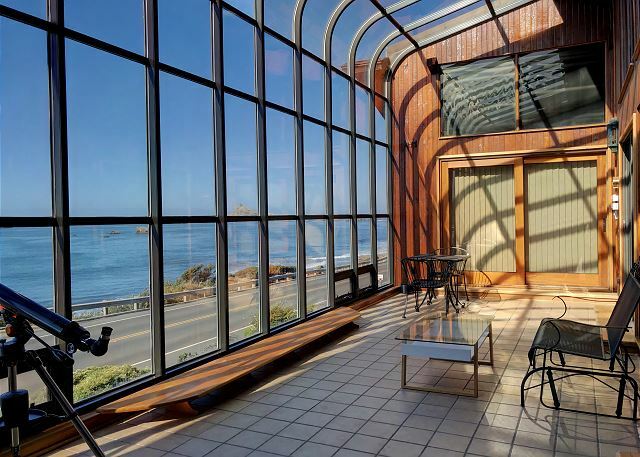 Watch the waves or sit back with a good book in the sun room. 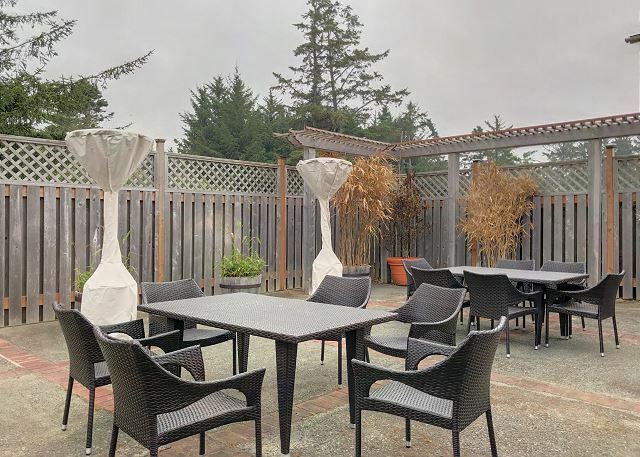 Outdoor patio is ideal for BBQ's and socializing. Please be conscientious of next door neighbor and take any outdoor noise and activities inside by 9pm. Entry of home is through the rear side. Parking will accommodate 5 cars maximum. Please connect with property manager if over three cars, for parking instructions. 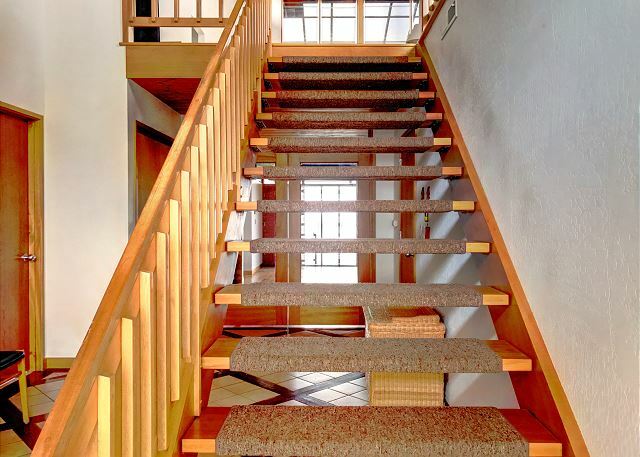 Upon entering the house through the back red door, go up the stairs for the "main" level of the home. 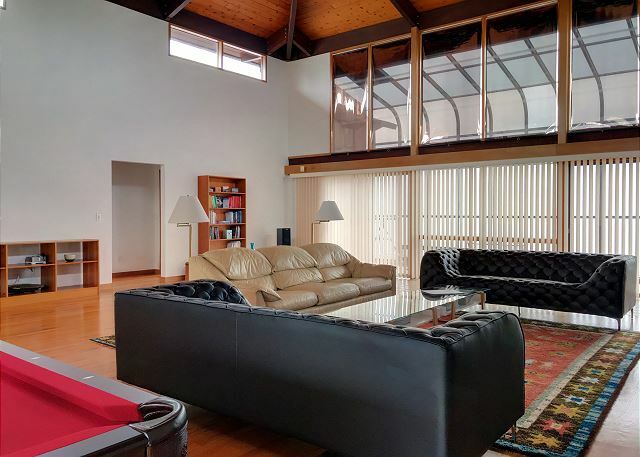 The first view is of the spacious, expansive living room. At the top of the stairs upon entering, the very first room to the left is the laundry room. There is plenty of counter space for folding. 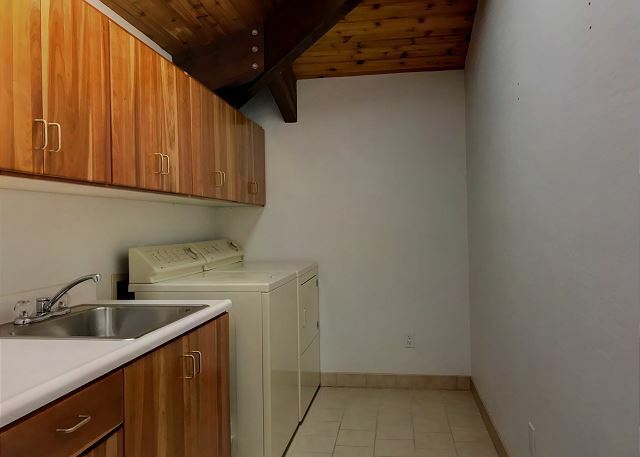 Immediately adjacent to the laundry room is a half bath. 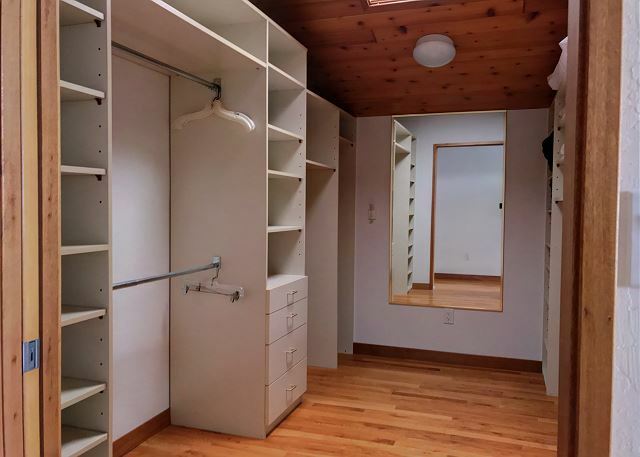 Immediately adjacent to the half bath is the yoga closet. Equipped with items that may be used during the stay, and stowed away afterwards. The first bedroom, continuing on the same side of the floor, is the Master King Room with ocean views. The Mast King room has its own large, walk in closet. 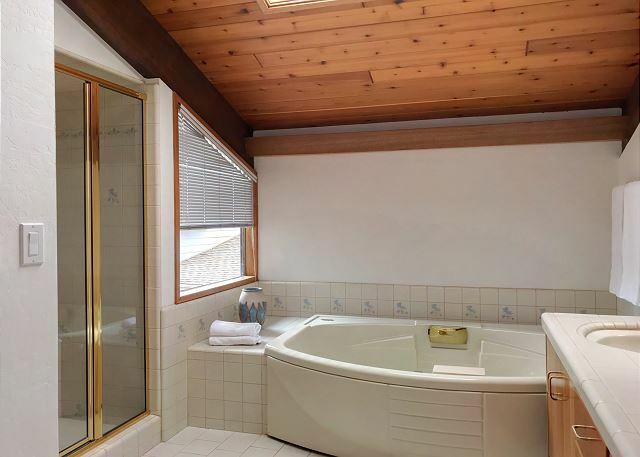 The Master bathroom has a walk-in shower, large tub, and vanity area. 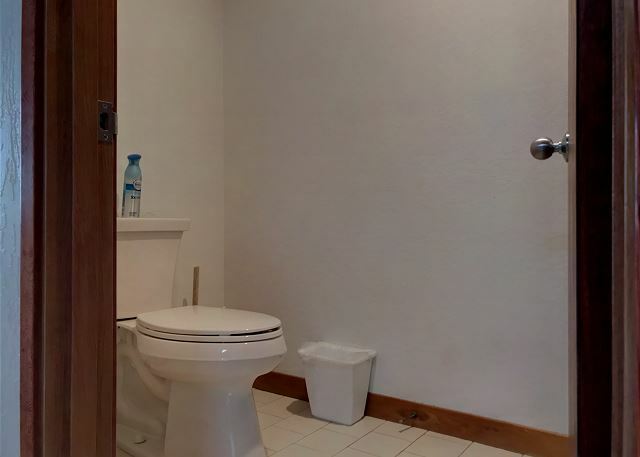 Master bathroom has toilet in small separate room. Upon walking out of the master bedroom, the view is of the lounging area. Reverse view of the lounging room. Ocean & Beach Views from the sun room and much of the home. 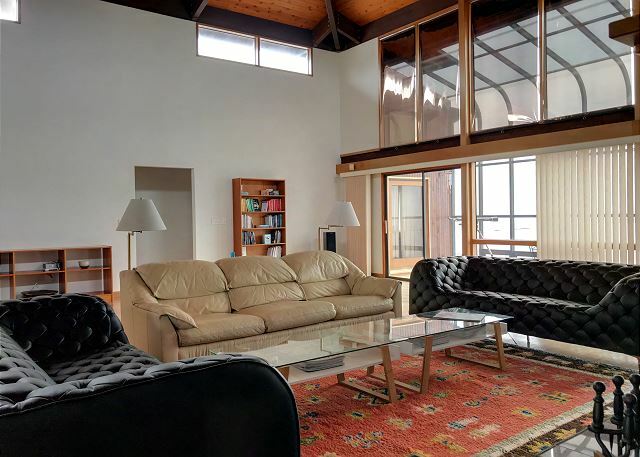 Sun room provides plenty of space for meditation, relaxing, reading, or socializing. 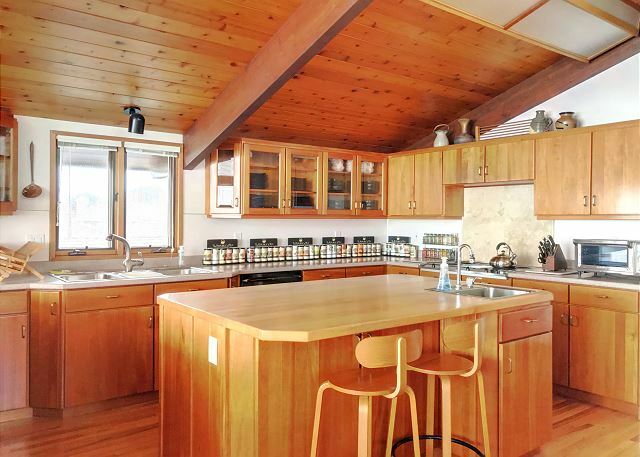 Plenty of counter space and island for food prep and mingling. View from inside kitchen looking toward island and dining area. Dining with ocean views, accommodates 6 people. Another view of kitchen for perspective. Home has electric stove, toaster oven, oven, microwave, refrigerator, and many other small appliances for food prepping options. kitchen island has food prep sink in addition to main kitchen sink. Moving along to other side of the fireplace is Queen bedroom. Exiting the Queen room, view is of the billiard table. Sun room in distance between the master bedroom and the kitchen. Looking down from the stairway balcony. 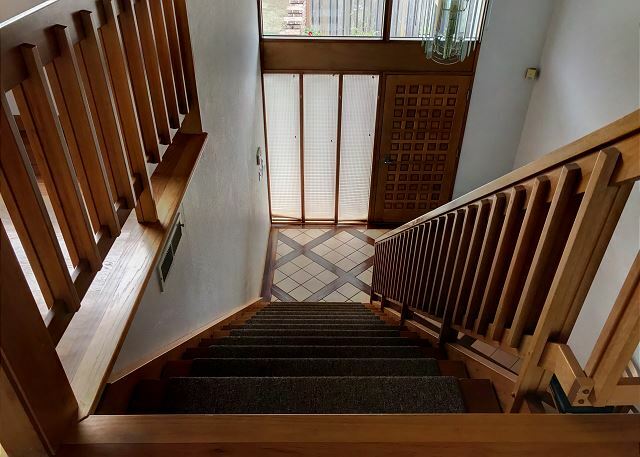 Down the stairs to the lower level (first floor). Under the stairway looking towards front door. In an emergency, you will find a couple flashlights hanging under the stairwell. Please replace if used. Disc Golf Supplies - wonderful course in the park nearby. Please replace after use. Sauna entrance, lower level, first room on the left. 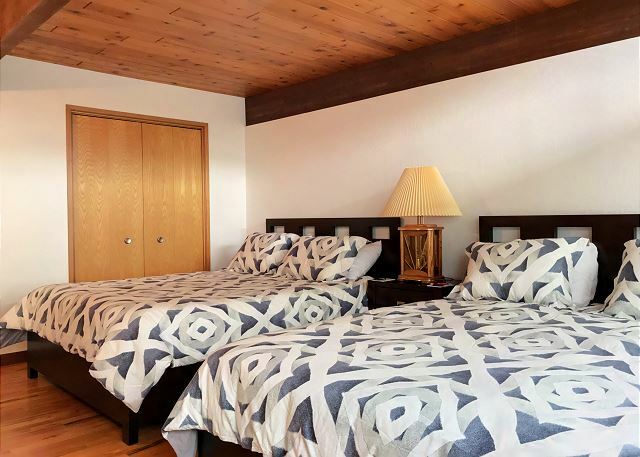 Two queen beds offer ample sleeping. Reverse view of room with two queens. Lower Queen room has oversized beanbag and desk. First floor lounge area. 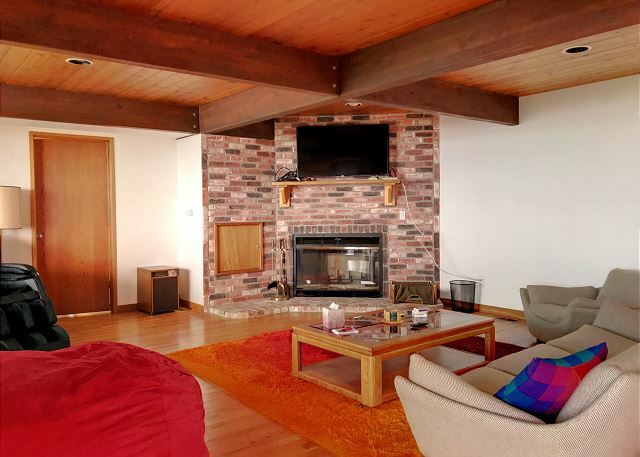 Has fireplace and roku TV. Reverse view of first floor lounge. 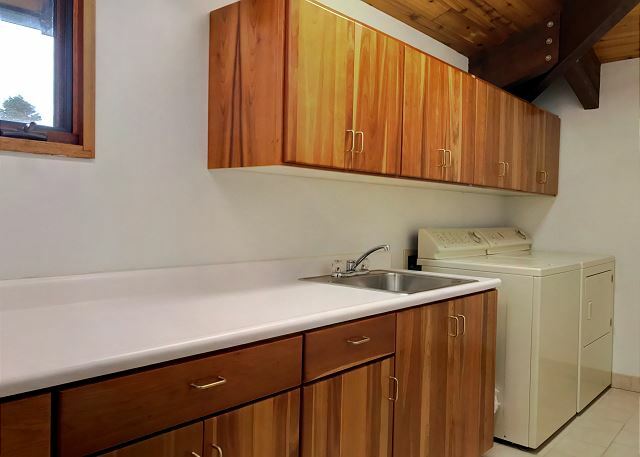 Small kitchenette area in lower living room. When first walking into this room from the home entry, this will be the fist thing on your left. 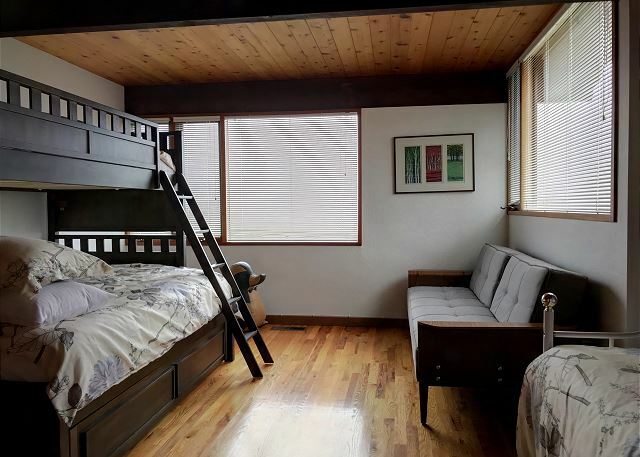 Final room has a bunk (twin top, full bottom), a full futon couch, and a twin day bed. Reverse view of this room. Excuse poor lighting. 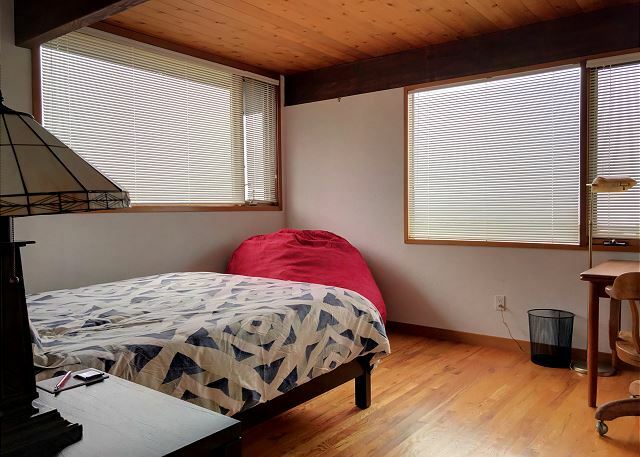 Bathroom in room with bunk, futon and daybed, has walk-in shower. Rear of home from patio area. 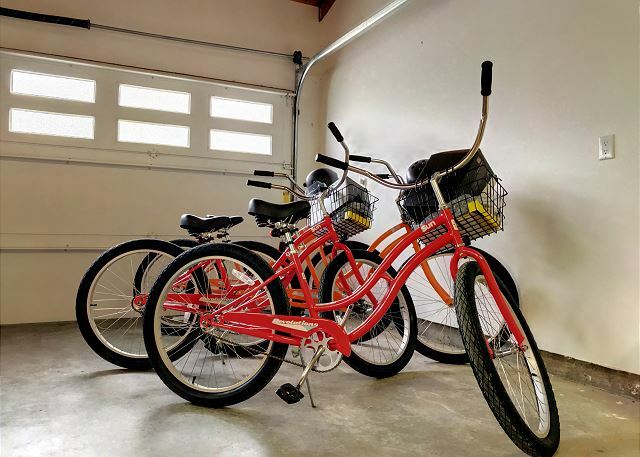 There are 4 bicycles for your use to add to your fun! 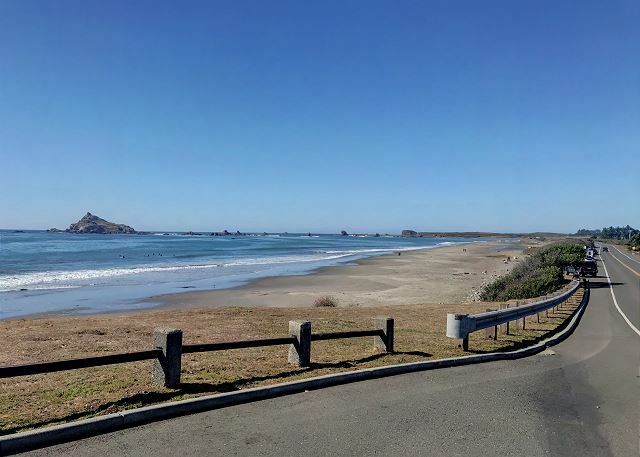 Pebble Beach Drive is ideal for bike riding. Please rinse off your debris and stow away neatly after use. Direct front view of the home. Unfortunately a foggy day in this picture, but ocean is right across the street. Trash cans located in the rear. The garbage company will pick it up every Wednesday, so please make sure it is accessible. 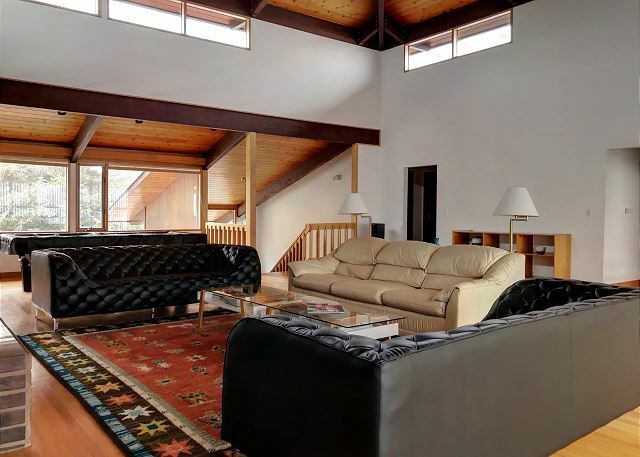 Two very inviting Living Rooms make it perfect for big groups. Come here for your family gathering or retreat! You will really enjoy yourselves! 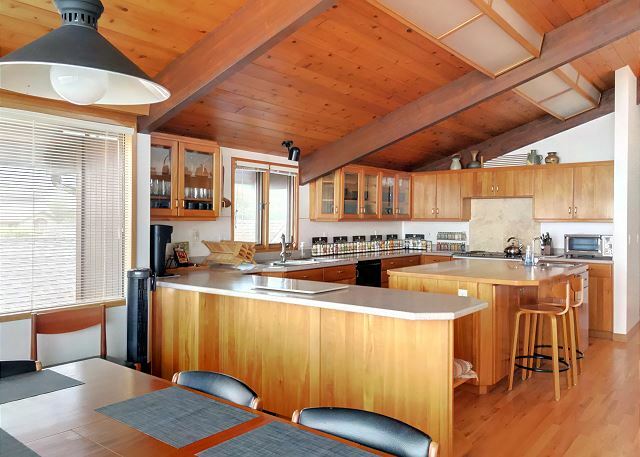 The kitchen is excellent for preparing beautiful meals for a large group, and plenty of seating for all. Five bedrooms total includes two bedrooms on the 2nd Floor which are the Master King Bedroom Suite and second upstairs bedroom with 1 Queen bed & then downstairs we have 3 additional bedrooms, one with two queen beds, one with one queen bed, and the third with a bunk bed (full on the bottom, twin on top), a twin futon, and a twin day bed. All together there is 1King, 4 queen, Bunk w/twin & full, 1 twin day bed, and 1 twin futon. 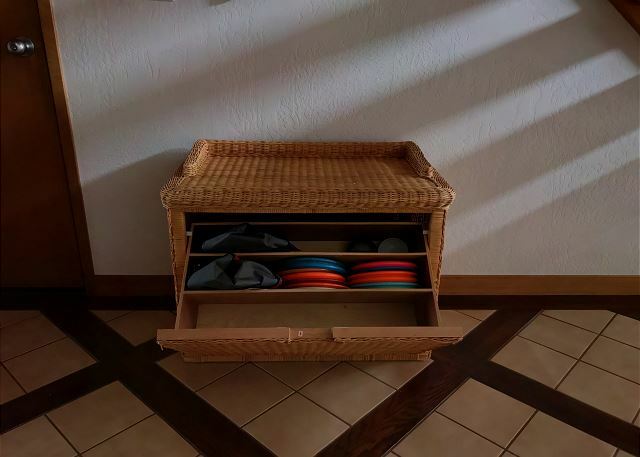 Convenience Golf Course, Nearby Grocery, Nearby Medical Services, Outdoor Cafes, Farmers Market (in Season), Harbor, Bait Shop, Post Office, Gas Station, Bike are provided! everything was just perfect! we loved our stay. It was so fun to bike to town and take in to awesome views. 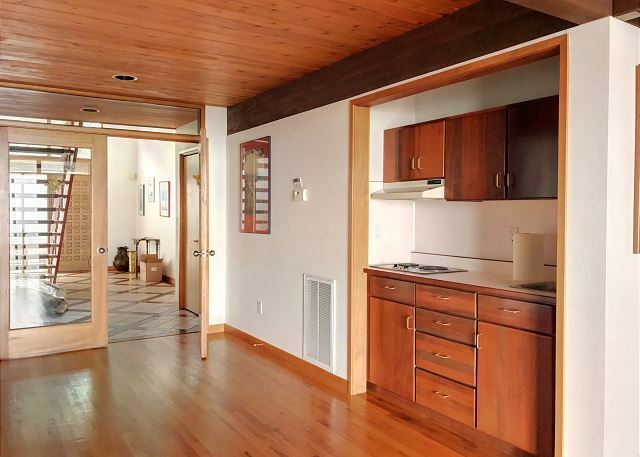 The house is lovely with small and large touches that make this house a great value. Thank you for the great review of the Crown of the Coast. It sounds like you had a nice stay and that the home had some special touches that made it that much more special. We do hope you will return to visit us again for future stays in our lovely area. For years we have used VRBO to rent homes for our vacation. This particular home I would have to say was the best so far. We had four family's in the course of a 4 days stay and it was spectacular. We all had our own bedrooms as well as bathroom accommodations. 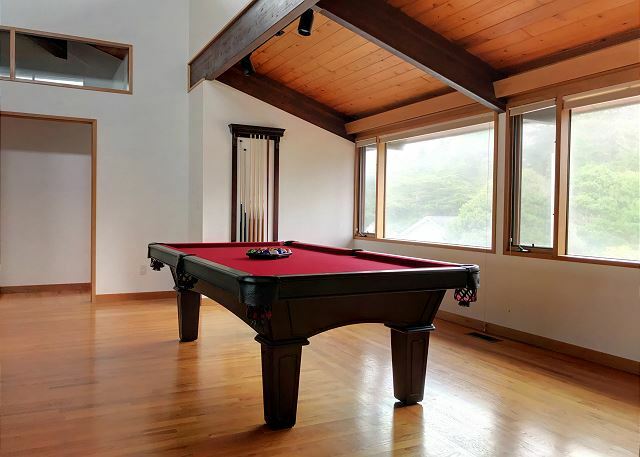 The steam room was used everyday by everyone and the pool table was a nice feature as well. 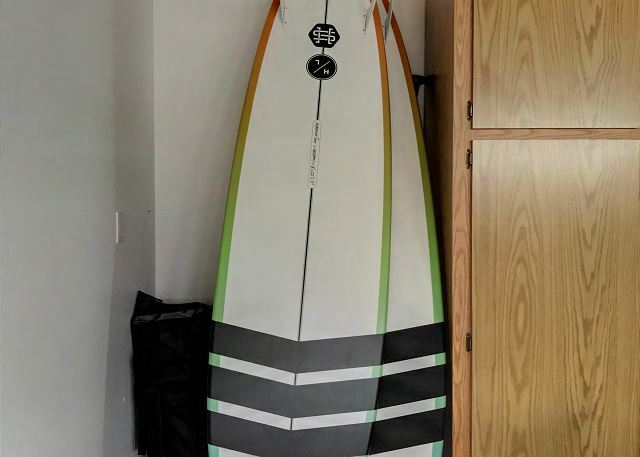 The other accommodations included plenty of yoga equipment, bikes to ride and boards to surf. The whole week was some of the best weather in such a early part of the season and we truly enjoyed the day room with great visibility of the ocean and all the crab boats hard at work. I think the best part of our stay was not have but one TV in the house which was located downstairs, pretty much very little TV and more human and family connection. When family wanted to disconnect their was plenty of room to disappear and enjoy some time alone. We will defiantly be renting this fabulous home in the future called " The Crown Of The Coast "
This is one of the best reviews I have read. Thank you so much. The Crown of the Coast is a wonderful home. 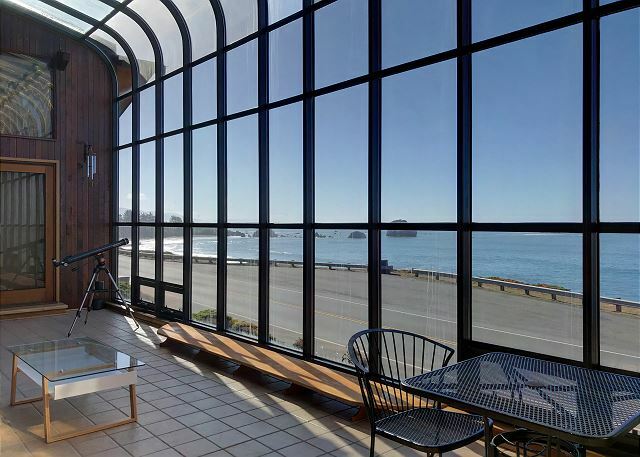 It is spacious, comfortable, offers plenty of amenities, and is across the street from the beach. 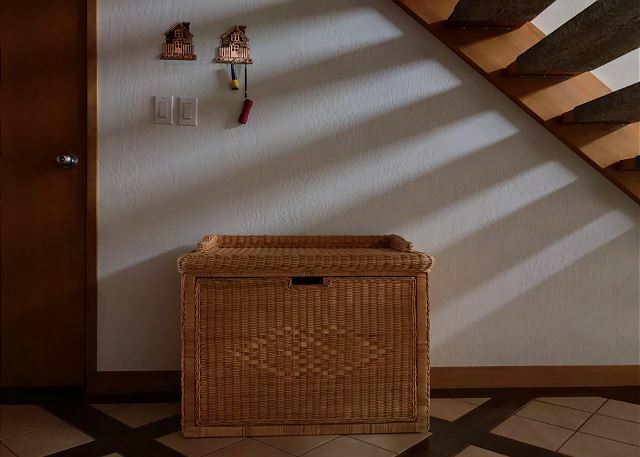 It is so pleasing to hear that the home provided more human connection, especially when technology is so prevalent. Thank you for sharing about your family getaway and we cannot wait to have you back! 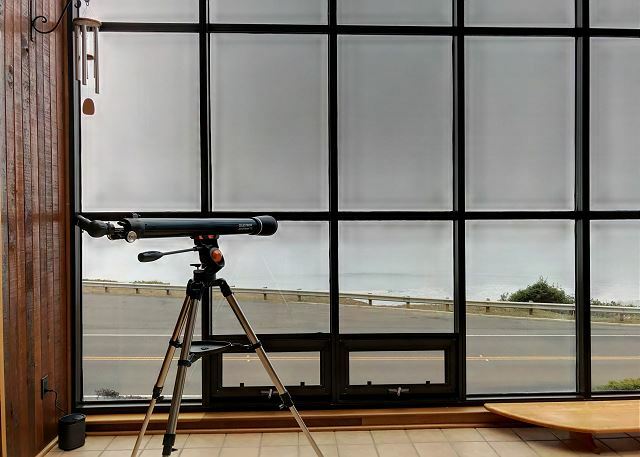 The ocean view is wonderful. 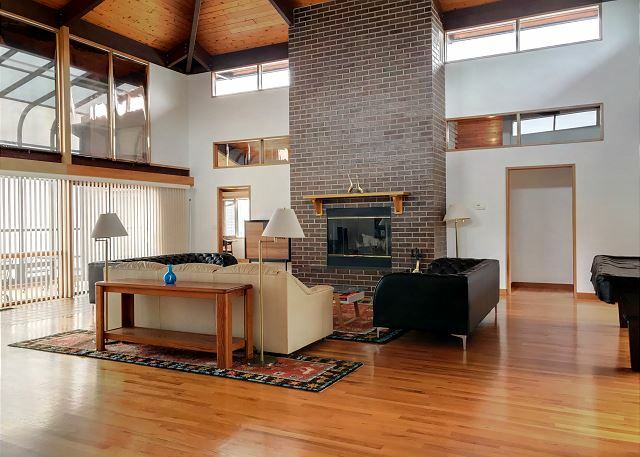 Beautiful home with all the amenities you'll need. Beds were so comfortable! A larger dining table with more seating, would be nice. 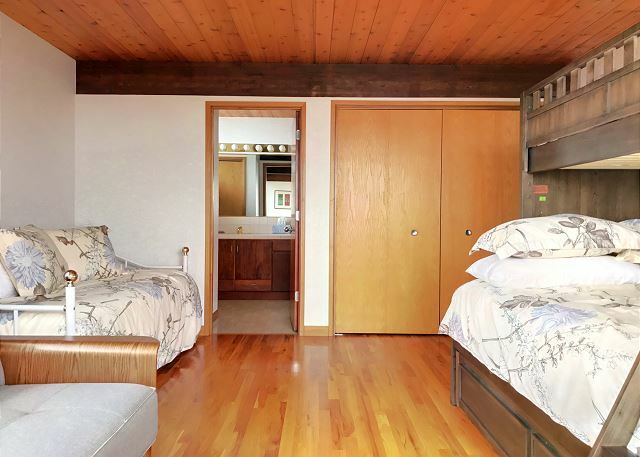 The room with the bunk bed, twin futon and daybed has it's own bathroom - parents with small children might want to know that ahead of time. We thoroughly enjoyed our stay! Thank you for taking the time to review the Crown of the Coast. This is a great home for a large family. The house is spacious and the view is wonderful. 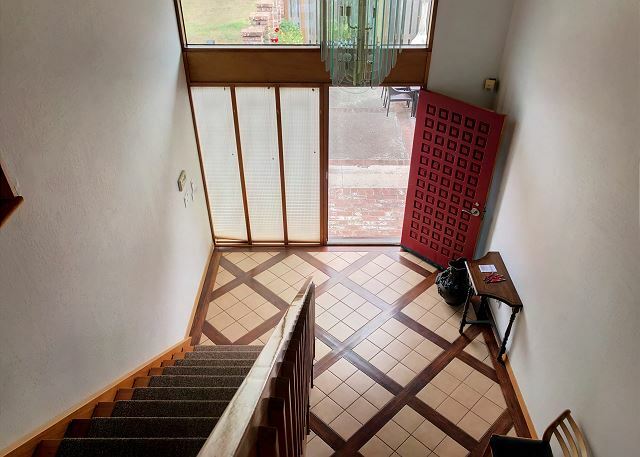 We would love to accommodate a larger dining room table, but the space is limited in the dining room itself, but we are open to considering a different room in the house so long as it works within the space without taking away the open concept of the living room. Thank you for your suggestion, though, as it is through guest feedback that we are able to improve upon our homes. We are so very glad you enjoyed your stay and we do hope you will return to visit us again soon. Beautiful place to stay during the winter break! We rented this place during the recent winter break. Had a wonderful time. 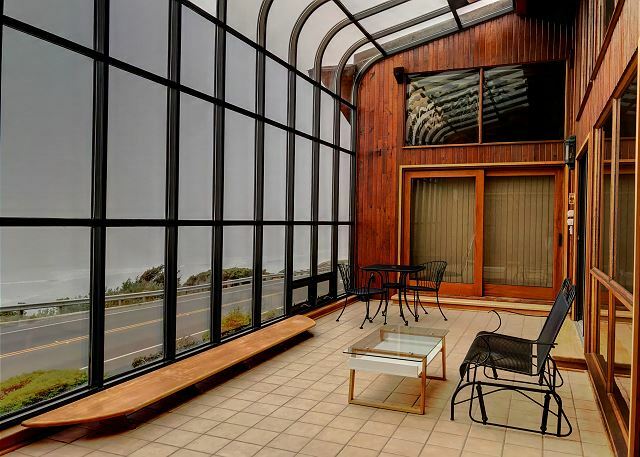 The house has excellent amenities and the view of the ocean was stunning. We also enjoyed the Sauna and the pool table. The management was also extremely helpful. I would highly recommend this place for anyone looking for a place to stay in the Crescent city area. It truly is the Crown of the Coast! What a wonderful review of the Crown of the Coast! Thank you so much for your kind words and for sharing your winter break experience with us. Please visit us again if you make it back over to Crescent City! This place is amazing, the pictures don’t do it justice! If you are staying in Crescent City, this is the place to stay, we all loved it. The Crown of the Coast is such a hidden gem up here in Crescent City. I am so glad to hear you all loved the home! 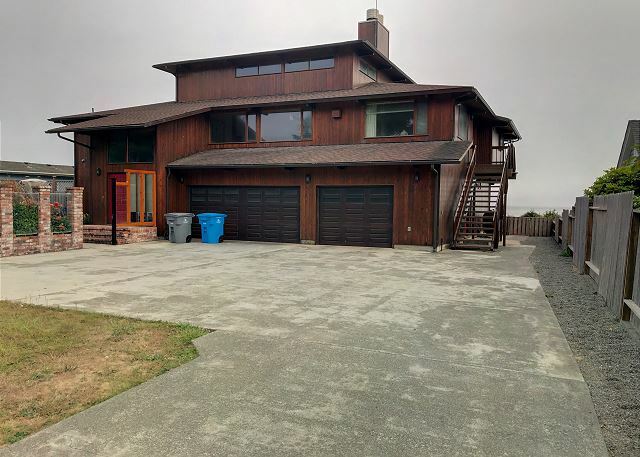 This home is very spacious and comfortable, the location is amazing, and the home has plenty of amenities to keep our guests occupied during their stay to Crescent City. 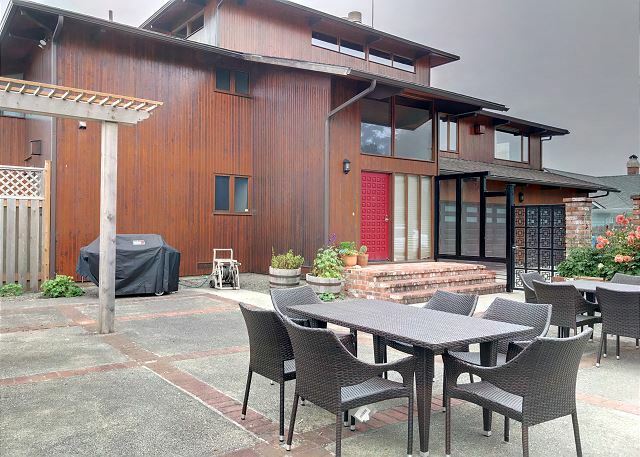 The home is one mile from the airport and a short drive to the redwoods, as well. 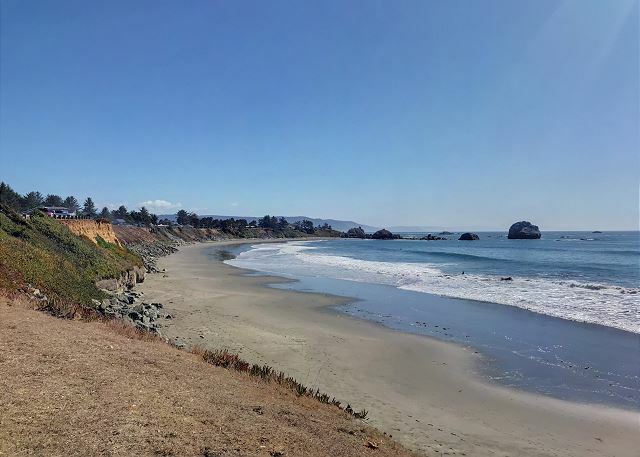 Thank you so much for leaving a review and for sharing your positive experience with us and please look us up at Redwood Coast Vacation Rentals when planning your next trip to the North Coast! We rented this place as a special gathering for family for stuffing day and it couldnt have been more memorable. Right as the turkey was on its last few minutes and the rest of the food mostly done with cook time just needing heat (except gravy) the wind and rain knocked the power out, we got out the BBQ and heated the rest on the fire and bbq, started to make the gravy on the BBQ, (quite a trick) all of a sudden the clouds cleared the power came back and we finished the gravy. The sun came out and we met our goal for dinner time on the spot. AMAZING!!! We ate with a view of the ocean right out on the sun months to deck... Ages of the party ranged from 7mth to 94 years and EVERYONE was happy! What an eventful Thanksgiving it sounds like you had while staying at the Crown of the Coast. I am sorry to hear of the power outage but so happy you were able to pull it together in the end. Definitely a time to be thankful! This home is such a perfect place for a family gathering and I am glad to hear it was enjoyed by such an age range. Thank you for your recent stay to our home and please visit us again the future. I rented the Crown on the Coast for a business trip to Cresent City with 1 other person. The house was great and the location even better! 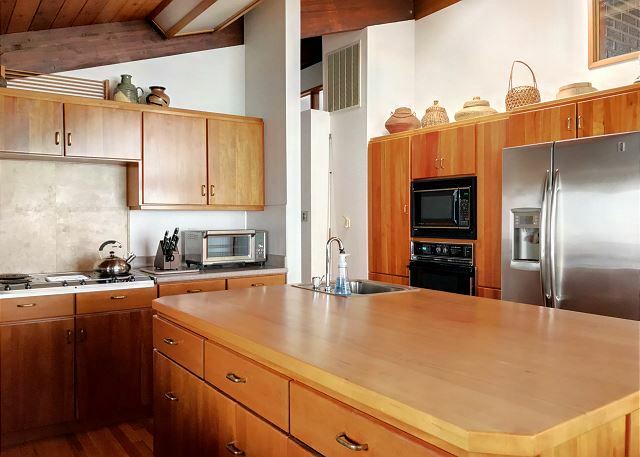 Very well equipped kitchen, nice grill, and good amenities for bedding and linens. Description is accurate and would not hesitate to stay in the house again. Thank you Steve! It was great to have you and we would love to have you back again. 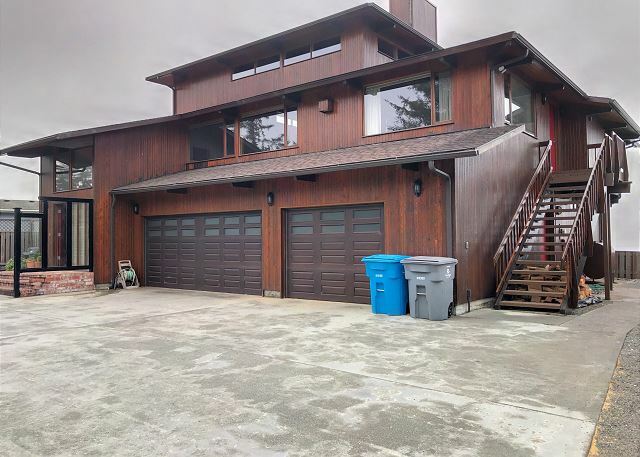 This is a great home for business or pleasure, and really cannot beat that location. I hope the BBQ was put to good use and please, look us up again when visiting our area! 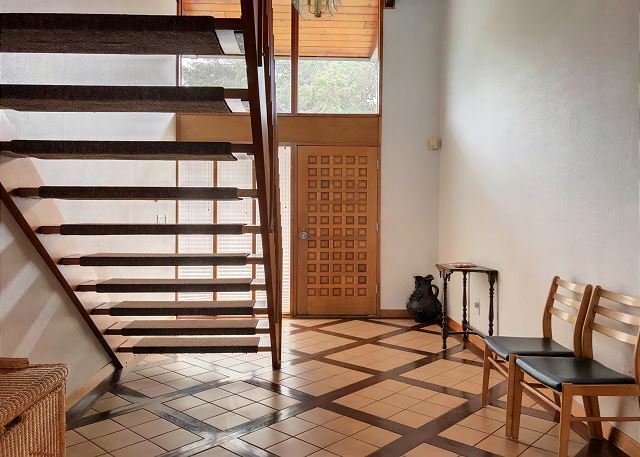 Beautiful, idyllic house with incredible access to nature! I visited Crown of the Coast with a group of 8 friends in mid-October. Both the house and its surroundings are incredible - I would recommend it to anyone looking for a relaxing, luxurious retreat in a beautiful part of the country! 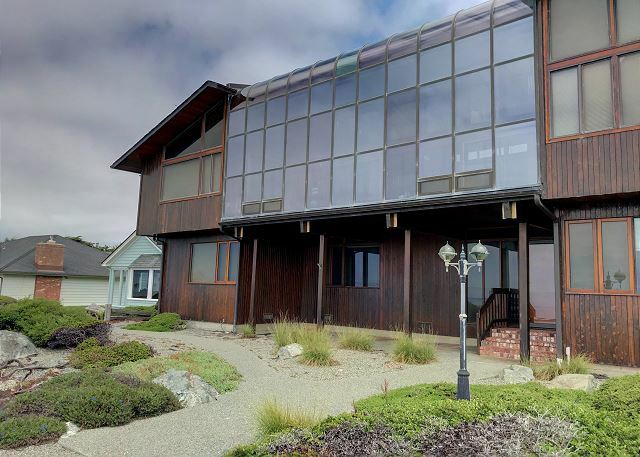 The house itself was beautiful, modern, and comfortable - the highlight being the two-story, floor-to-ceiling windows looking out on the ocean. We were a large group, but ate and socialized comfortably in the kitchen and living room. The rooms were clean and well-appointed, and the bedding was really comfortable! 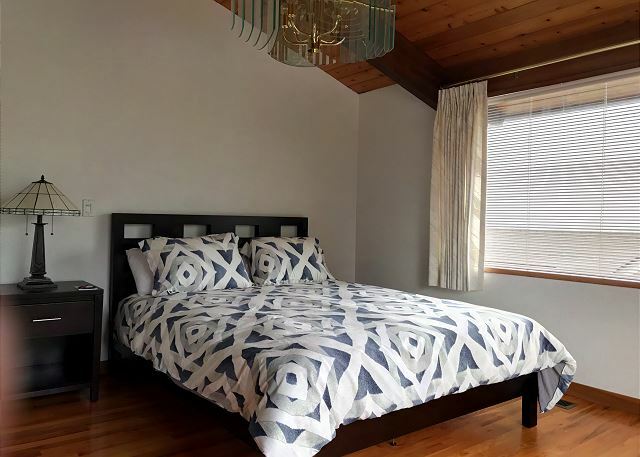 I also liked how the bedrooms/bathrooms were spread out to give each guest maximum privacy. (Though I did notice some noise from passing cars in the bedroom closest to the road.) We also made excellent use of the sauna with eucalyptus oil steam bath: much needed after a quick dip in the cold Pacific ocean! The best part of our trip, though, was the amazing access to outdoors. The house itself is right on the ocean, you can walk or jog along the coast for miles in either direction. 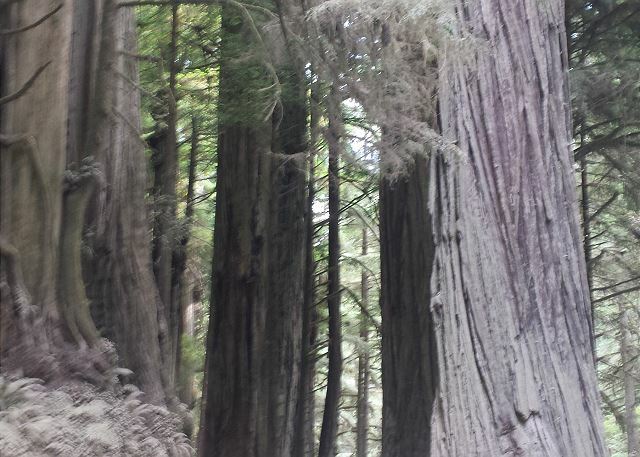 We were also less than 15 minutes drive from old-growth forests with more redwoods than I've ever seen in one place. It was also the peak of fall, and the woods had brilliant flashes of yellow and red. We drove through the woods along paved and then gravel roads, and explored a number of trails and hikes (which were all mostly empty and very peaceful). A highlight was driving down to the Klamath river and seeing a large family of seals playing in the water just 30 feet away! We didn’t time the salmon migration quite right, but apparently you can see the fish jumping out of the water at certain times of year. Thank you for such a lovely review of the Crown of the Coast and the Crescent City area. Not much more I can add to it, other than just to say Thank you, and please look us up again when visiting the Crescent City area. Top of the Line place! We took the place for 2 nights for 3 families with small kids and had a great time in there. The amenities are excellent, as new, and the apartment was clean. The parents and kids were very impressed with this luxury home. It has a great view and lots of space. 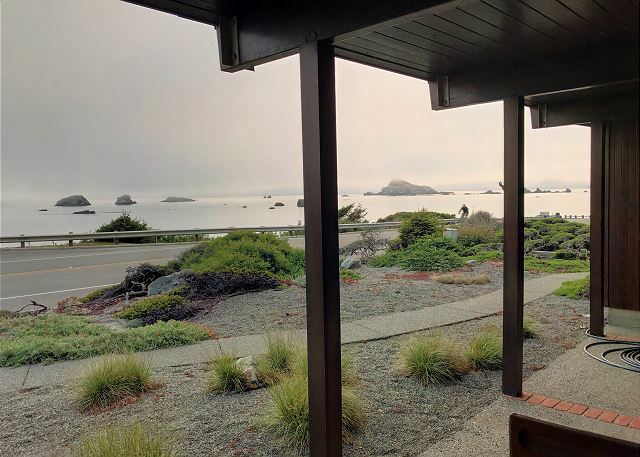 The Crown of the Coast is one of our exclusive homes in Crescent City. 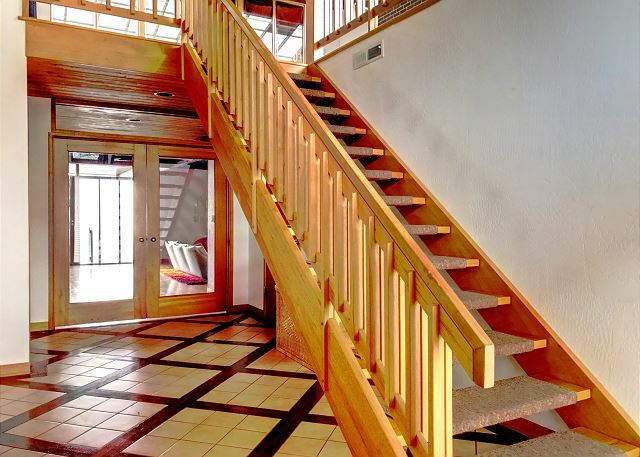 This home has all the amenities one could want while on vacation, and then some. 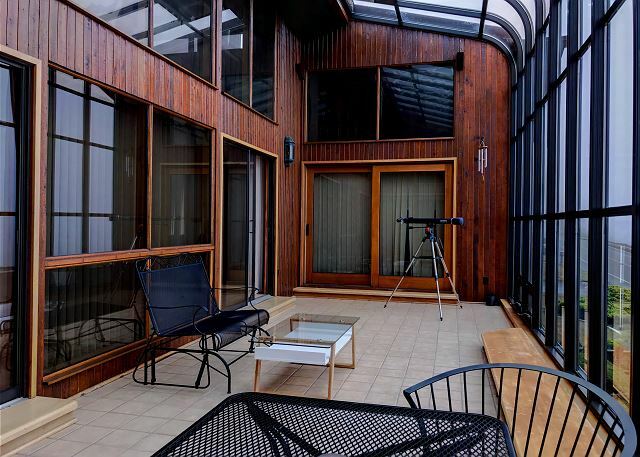 It is spacious and comfortable, the location is wonderful, and the view is fantastic. I am so thrilled that you and your family had such a wonderful time at the home. I do hope you will return to visit us again.